The other day I heard the best analogy while listening to the radio. The speaker was explaining some of the differences between how race cars and road cars are built and related them to how we should operate in our everyday lives. He explained that road cars are built with a long life in mind. We expect road cars to perform reliably for hundreds of thousands of miles because they are built to last. This is not the case with race cars, however. A race engine is built with one thing in mind: power. Race engine components are built to be light and strong, but in most cases, they don’t last much longer than one race. We, in turn, are not built to run at a race car’s top capacity all the time. Although multitasking and constant working are things our society pushes and even rewards, it’s not good for anyone long term. Can you handle what’s thrown at you? Can you juggle different responsibilities without letting them see you sweat? Can you manage unrealistic expectations and unreasonable staff while looking flawless? Of Course I can! But at what cost? Like a race car, you may be able to manage juggling everything for a few trips around the track, but you will burn out. Promise. If you live your life for the long term, similar to a road car, you will last much longer. Let’s try to see the long game, slow down! Categories: Wednesday Wisdom | Tags: cars, wednesday wisdom | Permalink. I am increasingly becoming alarmed at who the media tells me I should like, who is beautiful, and role model worthy. (my heart always breaks for the underrated musicians who have something important to say, but never appeal to the masses.) My inner circle knows I feel this way, but today I just need to get it out. On Monday, after the Superbowl, my sister and I had a long conversation about the demise of the music industry and how if you disagree with masses on the talent of a superstar you are called a “hater.” (Most. Overused. Word. Ever.). We also discussed our frustration that we feel we are force-fed a love of certain “superstars” and celebrities sometimes without merit. But I encourage you to see being called a “hater” as a badge of honor that you are able to think for yourself rather than do what the media tells you to do. Although my big issue is with the music industry and what images are being sold to children, heck everyone, it’s also relevant in all other areas of life. Think for yourself. Be critical and ask questions of those in authority or those running media corporations (deciding what TV programs to produce.) Don’t just take what you are fed, be it from the pulpit or from a news anchor. Sometimes you need to go against the grain and make decisions for yourself. Or think through what you are told or sold before you run with it. You may feel like you are swimming upstream, but hang in there. There are plenty of examples in life where people went against the grain, and it started a movement. Don’t just take what you are given. Just because it looks and feels good, doesn’t mean it is. If it means you are the only one who thinks that way…so be it. And side note, you may want to get a new group of friends because you may find that once you do, others feel as you do! Categories: Wednesday Wisdom | Tags: individual, super bowl, wednesday wisdom | Permalink. Wednesday Wisdom: Why I cannot and will not quit. With all that’s piled on my plate with work, the holidays, home life, traveling, etc., I’ve really questioned continuing on with my blog. I’ve second (third and fourth) guessed my challenge to post every week day for a year. I’m proud that I now know a little about HTML. I’ve become more confident, I have greater perseverance. I’ve gotten better at marketing myself and my talents. I’m thinking like an entrepreneur! My lens of life has changed. Photography has become something that I love again. I’ve revived my love of style, home décor, DIY, and cooking. I’ve enlarged my networks, I’m more open to meeting new people. But most of all, the reason I cannot quit is because I need to keep this door of creativity open, it keeps me alive. If I quit, I will figuratively wither away and become engrossed in/consumed with my day job. I will revert back to my old ways of being too concerned with that everyone is thinking. And stressed about things I cannot control. I’ll come home after work replaying conversations I had throughout the day rather than spending time with my family being present. I’ve become a better wife, mother, and employee because I have something all my own to look forward to. With everyone telling me what to do all day, no one can tell me what to blog about. I don’t want to go back to pre-blog me. I’ve learned too much (Wednesday Wisdom—hello!? ), I’ve come too far. I believe I will look at this post in the future and be glad I didn’t quit…. Olympians don’t quit (and they push so much harder than I do) and neither will I.
I think of Gabby Douglas begging her mom to come home, she technically did quit—her mom just wouldn’t come get her! I hope you continue on with whatever seems tough in your life. Wednesday Wisdom: Don’t look down! Members of my family are going through some rough times health and job wise. Some days are better than others, but it’s frustrating to watch. What is interesting is how when I am down about my family’s situation, my sister will cheer me up and visa versa. What is even more interesting is that our focus is what drives our perspective, which in turn drives our mood and ability to function. If I am standing on the edge, looking down in the proverbial trench/valley, the darkness and the fact that I cannot see the bottom, is overwhelming. 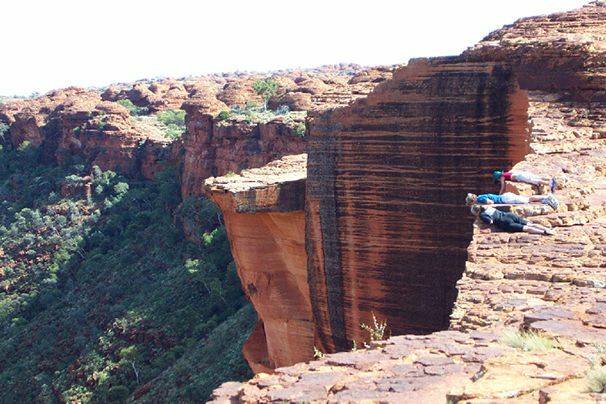 It only takes one peek over the edge before I am totally dejected. But when I change my focus and look to the other side of the valley, I see the beautiful horizon, my spirit is lifted, and I can encourage others. Look out, not down. It makes all the difference. And when you get to the other side, be sure to glance back at the enourmous leap you took. Keep that glance stored away as a reminder when the next valley presents itself. Remember the last hurdle you jumped. About a month ago my prettybluerose.com website crashed for 9 days. So not only was it unavailable to readers, I had about 30 or so draft posts that I couldn’t access. Initially, since my web host said it would be fixed in about 48 hours, I waited patiently. I was calm. Then anger and frustration set in. I find this emotion is helpful if I channel it correctly. Once I get sufficiently angry and frustrated, I start to think outside the box and this time was no different. How would a business deal with this problem? How would a CEO work around a crashed website? 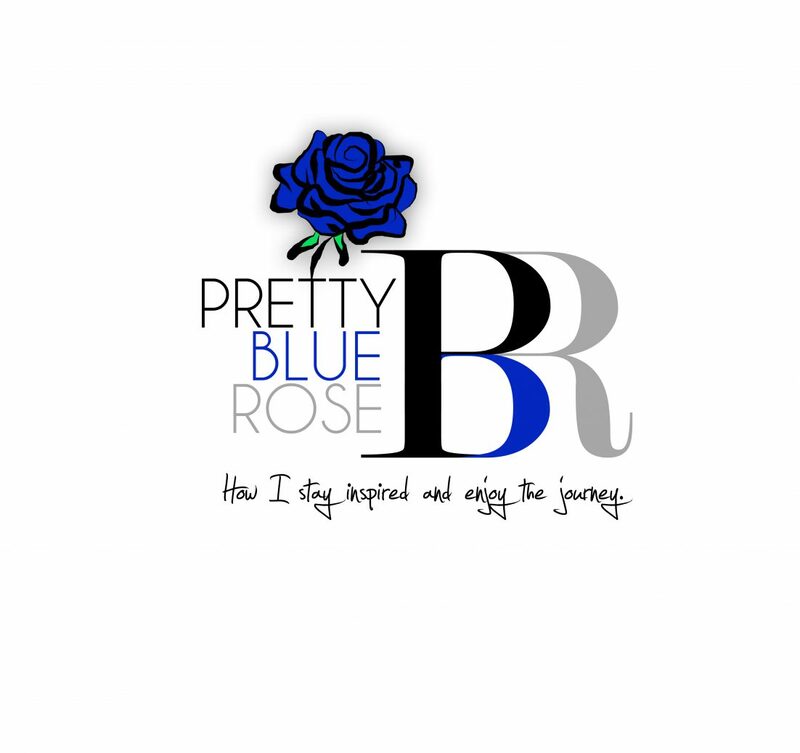 And after a nap I came up with the idea to re-launch my prettybluerose.com website through another web application and it worked. It got me back up and running. I was elated! But the “high” from thinking outside of the box was short-lived when I remembered I still didn’t have access to my 30+draft posts. I had to start writing from scratch. There were no draft posts were waiting to be finished, I actually had to work harder than I did when I first launched. So I was moving forward, but I still needed to keep moving forward. I also faced needing to rebuild my reader base since I was unexpectedly gone and had no real way of communicating that. Out of sight, out of mind. Most of us can deal with a set back or two, but when multiple setbacks occur, do we keep moving forward? And do we maintain a good attitude while moving forward? I believe when you face great opposition, it’s because something great is just around the corner. But will we hang in there long enough to see it come to pass? Will you keep knocking on doors, keep looking for answers, keep expecting, keep dreaming in the face of many set backs? Will you keep asking after the 5th no or even the 25th? Will you make sure you don’t let others talk you out of your dream when the 25th no comes around? (They will be plentiful by then). Thomas Edison failed 2000 times when trying to invent the light bulb. I know the Wright brothers’ first airplane prototype wasn’t successful. Tyler Perry lived in his car because he was so broke and Donald Trump’s companies filed for bankruptcy multiple times. (no endorsement of Mr. Trump, just a fact). But they never quit. You may have had some setbacks or disappointments, but you are being prepared for your future. Each light bulb prototype that failed provided valuable information for the next time. Just continue on. Not only after a few setbacks, but after many. Sometimes I feel the last one standing, although not the smartest or strongest, wins. I want to win! stay in it, enjoy the journey. Categories: Wednesday Wisdom | Tags: persistence | Permalink.